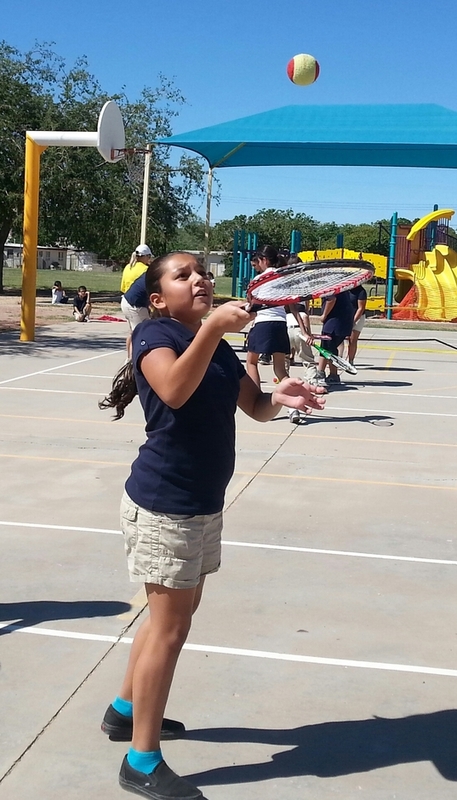 ... is to provide neighborhood opportunities for Tucson’s under-served children to learn and play the game of tennis throughout their youth and into adulthood - thus exposing them to the fun and benefits of leading an active lifestyle. It's that time of year. Our popular Adult + Junior tennis tournament is coming to Reffkin Tennis Center on Sunday, April 14. Registration fee is $25 per person. Register with a partner, or register solo, and we will find a partner for you! 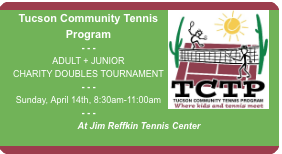 Register by calling Reffkin Tennis Center at 791-4896 by Sunday, April 7. Can't wait to see you there!